There is an online bill pay website called Doxo.com. While it appears to be affiliated with ENSTAR, it is not. 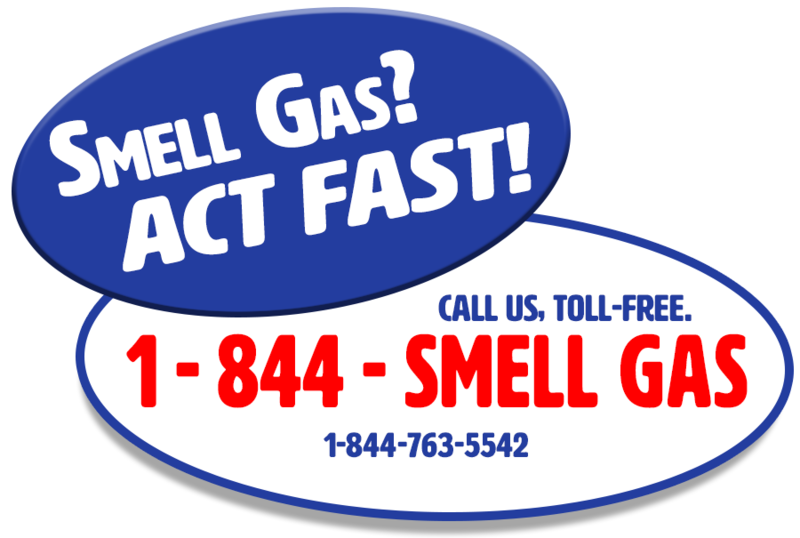 Doxo.com is third-party website that allows people to pay their natural gas bills via their site. 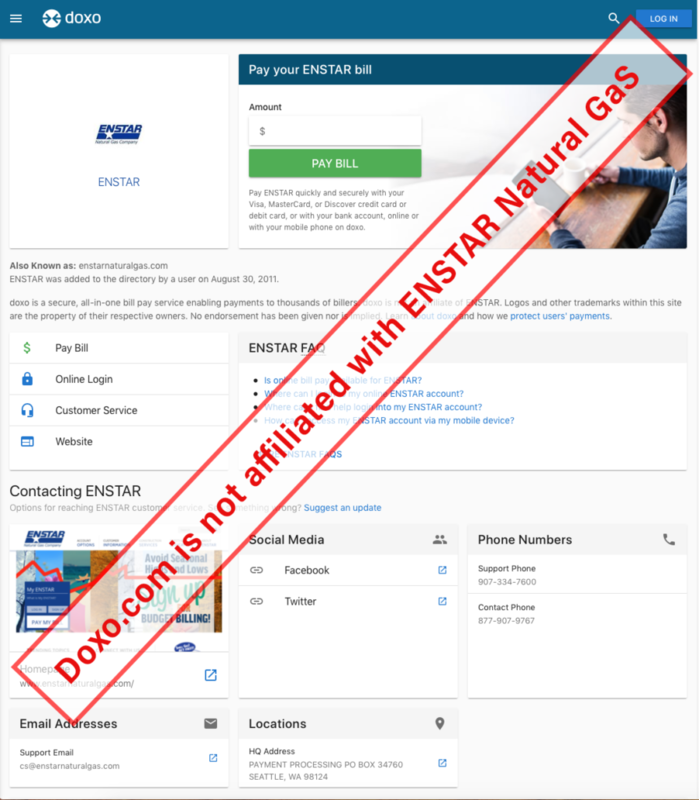 However, doxo.com may charge customers extra fees, and ENSTAR cannot control when we will receive the payments from doxo.com, possibly resulting in a late payment fee being applied to your account or even disconnection due to non-payment. To make sure you’re paying ENSTAR directly, see Payment Options, or set up a MyENSTAR account and pay online. As always, if you receive suspicious phone calls or emails, from someone claiming to be a representative of ENSTAR or requesting payment, please call ENSTAR at 907-334-7600 or 1-877-907-9767.